Fewer than 500 Siberian tigers are living in the wild. Also known as Amur tigers, these wild populations are dwindling at alarming rates. While conservationists continue to address human pressures such as illegal hunting, an infectious disease has been threatening their survival. Canine distemper virus (CDV) is a serious viral disease in carnivores. Over the past 15 years, mortality rates as high as 40-50% have been recorded during outbreaks of CDV in captive tigers. Thus, the impact on wild populations of Amur tigers and leopards in Russia’s Primorye region, although unknown, are expected to be severe. Researchers have studied the virus in dogs and other carnivore species, but its impact on wild tigers and leopards has only recently been investigated. CDV poses serious health risks for tigers – initial respiratory symptoms often progress to serious neurological disease and death. Affected tigers lose awareness of their surroundings, may appear blind, and are unable to hunt. They are also more prone to approach villages and attack domestic animals or even humans because they’re unable to catch wild prey. 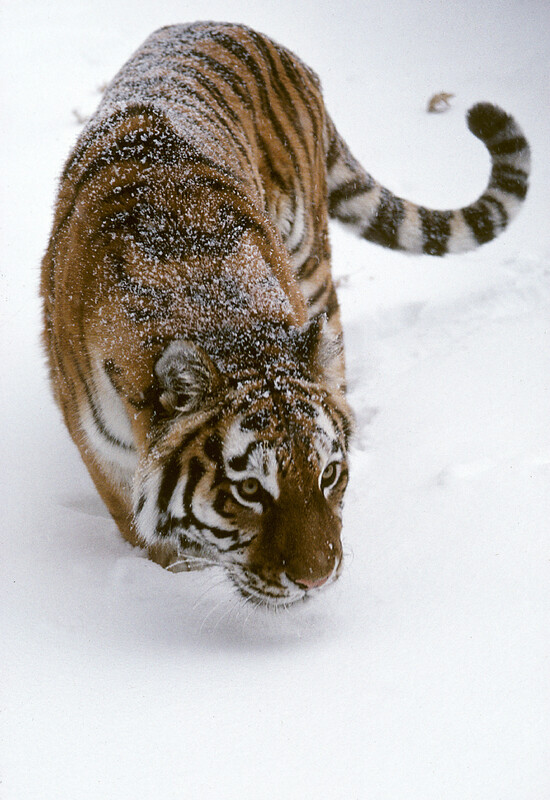 Response teams are often called to assist distressed Russian tigers or leopards that have wandered into villages, or encountered people along roads. These animals are safely immobilized and taken into care, but disease diagnosis is hampered by the lack of laboratories that routinely process wildlife samples. Outside Russia, CDV has impacted many other wild species. The ability to provide rapid testing for CDV in remote tiger and leopard habitat is critical for monitoring these and other carnivore species and understanding how this virus is spreading to endangered cats. The Wildlife Conservation Society (WCS), in partnership with Biomeme, is developing a ‘first of its kind’, mobile, field-friendly test kit to diagnose diseases of conservation concern in endangered tigers, leopards, and other wildlife. Using new and transformative molecular technologies, these portable, rapid, highly sensitive diagnostic tests will not only benefit the health of zoo and wildlife animals, but domestic animals. The Biomeme platform consists of a portable PCR thermocycler capable of being powered with a solar battery and operated by a smartphone. An easy-to-use, field-ready extraction kit purifies viral nucleic acid from wildlife samples in a matter of minutes. The entire kit fits in a briefcase-sized box, requires no sophisticated lab equipment, and runs completely without electricity or Wi-Fi. Our technology is uniquely suited for remote regions of the world where there are no local diagnostic labs, utilities infrastructure, or advanced resources. Using Biomeme’s test kit, field researchers can analyze samples from sick animals encountered in the wild for the presence or absence of CDV, with results ready in just one hour. 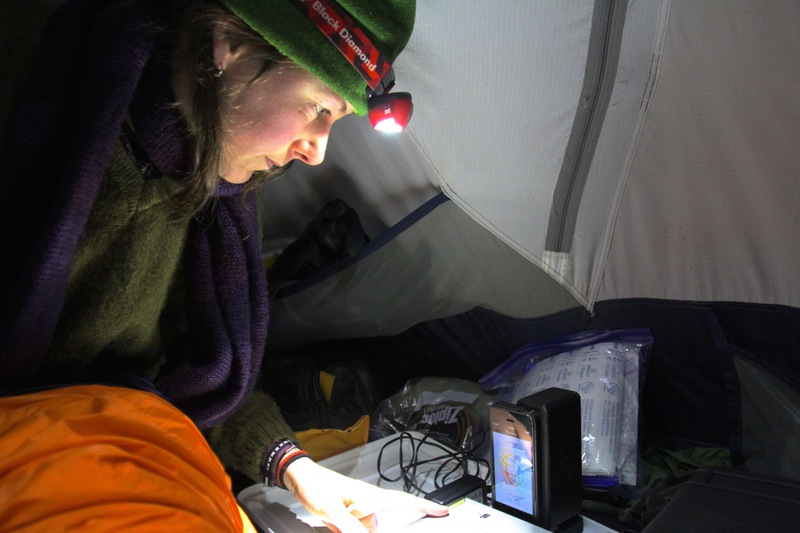 Tracie Seimon, Molecular Scientist at Wildlife Conservation Society, using Biomeme’s PCR thermocycler out in the field. She is leading our collaboration to study CDV in Amur tigers. WCS and Biomeme are deploying a pilot study to detect canine distemper virus in Russia, home to the majority of the last remaining wild Amur tiger and Far Eastern leopard populations. The goal is to provide real-time information about the health of these species in the field. This will have direct implications for animal management, vaccination, and reducing the risk of this deadly disease in critically-endangered animal populations like the Amur tiger and Far Eastern leopard. Progress with this research is directly impacted by the need to obtain data from the field for monitoring CDV in the ecosystem. Research efforts, which include mapping the location of positive sSiberian tigers and recognition of a cluster of cases in 2010, will help veterinarians provide treatment and supportive care to help reduce tiger deaths. Understanding geographic distribution of CDV across the tiger range will help predict future outbreaks of infection and promote conservation efforts in targeted areas of need. This collaboration is a featured use case through our Developer Program. For more information about how to partner with Biomeme to bring your tests to the field, learn more here.